On February 19th, a family syndicate from Ireland scooped a whopping €175 million pot in the EuroMillions, which makes them the biggest group winners in the entire history of this European lottery. They have dethroned the Irish Lottery Syndicate, which previously held the record with their €88.5 million jackpot of 2017. The Irish family wanted to stay away from the public eye. They sent a representative, who is married to one of the syndicate members, to collect the prize and speak to the press. He described their EuroMillions win as a “dream come true”. He also said that they want to keep their lives as normal as possible after the EuroMillions win. They want to share the prize not only with children and grandchildren but with the extended family. Their good fortune will change the lives of the entire family, even the generations to come. How did they find out about their EuroMillions win? One of the syndicate members heard on television that the EuroMillions jackpot was won in Ireland, as well as the last three winning numbers. She then went to check her EuroMillions numbers online to find out the rest and she could not believe her eyes – they had all the five main numbers and both Lucky Stars. Immediately, she went to put the €175 million ticket somewhere safe. She put it in an Argos catalog, which she placed under her mattress. The very next day, they contacted the National Lottery and handed in the ticket to them. At the moment, they have begun the prize collection process and they will receive the lump sum payout for their prize in the weeks to come. The EuroMillions winners of the €175 million jackpot are from Naul, a small town in north County Dublin and they purchased their ticket from a local shop called Reilly’s Daybreak. The owner of the shop, Les Reilly, told the press that she couldn’t believe what she was hearing when she was contacted by the lottery authorities. She also said that the entire town was in a frenzy about the huge EuroMillions win in their town. I don’t know how the people felt who won it but I was in total shock, just total shock!”, Les Reilly told the BBC News. This latest win makes Ireland the luckiest place to play the EuroMillions lottery in and certainly the luckiest location for group play. The Dublin family who won €175 million is the largest EuroMillions syndicate winner of all times, but there are another three big syndicates that dominate the syndicates hall of fame. Take a look at our syndicate winners page to find out more about the other Irish syndicates who have made lottery history. Frances and Patrick Connolly from Moira, Northern Ireland kicked off 2019 in a very big way. On January 1st, 2019, they found out they’ve won a whopping €129.6 million jackpot in the EuroMillions. The couple immediately came forward with their winning ticket to collect their jackpot and on January 4th, they attended the press EuroMillions conference at the Culloden Estate and Spa in Belfast. The next EuroMillions Superdraw will take place on February 1st. Excitement is growing all around the world as tickets are already available for purchase online. 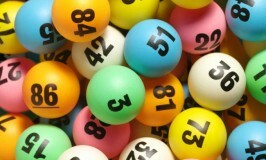 The starting jackpot will be €120 million, and it may grow much larger if nobody matches the winning numbers. The last Superdraw took place in September 2018 and rolled over until a player from Switzerland took home the entire €162 million jackpot. 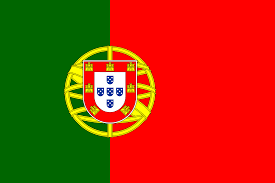 Portugal to Become Leading EuroMillions Country? We have witnessed a lot of big EuroMillions winners from Portugal lately, let’s say over the course of the last two years. It notably started when the maximum EuroMillions jackpot, €190 million in size, was won in October 2014 after it rolled over six times following a Super Draw. It ended up in the hands of a Portuguese winner, and the same thing happened in the next Super Draw (the first one of 2015), which didn’t roll over even once, but was still €100 million large. To top things off, another Portuguese player won a €163.5 million jackpot after it rolled over four times following a… Super Draw! Three of the last four EuroMillions Super Draw jackpots ended up in Portugal, which boosted Portugal’s ranking in the division of the Super Draw jackpot prizes enormously. The recent €73 million EuroMillions jackpot also found its way to a Portuguese bank account, which is proof that the Portuguese ‘spell’ is not entirely Super Draw related. EuroMillions Country or Not – You Can Play! That’s right – you don’t have to live in one of the participating EuroMillions countries to be able to play along in this lottery, which happens to be the biggest and most popular lottery in Europe. Really? – Yes, REALLY! Anyone can play EuroMillions online, from any location in the world. The only thing you have to do, is buy a ticket – and that is exactly what everyone other player needs to do as well – no advantages for players from the organising European countries there! Better yet: you can arrange everything from the comfort of your home, you don’t even have to get up! This is a call to action, but you stay seated – how is that for comfort? The upcoming EuroMillions draw is later this evening, so you have about an hour left to buy your EuroMillions tickets! DO IT NOW, AND DO IT FAST! Good luck to you – we hope the €30 MILLION jackpot finds it way to you! How do you define luck? Landing the perfect partner or job? For most of us, someone who wins a lottery jackpot is the epitome of someone who has all the luck. But what if you won the lottery twice? The odds of this happening are so minuscule that it sounds like an idea too silly to entertain. However, for one double lottery winner from China, it’s his reality as the world’s luckiest man. The man, who wishes to remain as anonymous as possible, is being referred to only as Javi in the press. El Mundo, a popular Spanish newspaper, reported that the man came to Spain nearly two decades ago from Zhejiang, a province in eastern China. Between his arrival in Spain and his two huge lottery wins, Javi moved throughout Spain, working as kitchen staff in both Barcelona and Madrid. Javi purchased a La Primitiva ticket in 2013. La Primitiva is one of the oldest lottery games in the world, but it gave Javi a completely new life. 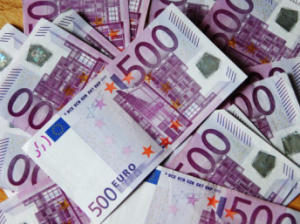 His lucky numbers paid off and he won a staggering €1.8 million jackpot. He was overjoyed and shocked, but this was only the beginning. Lucky for Javi, he decided to keep playing the lottery after hitting it big. Eight months after first becoming a jackpot winner, Javi played EuroMillions and won €137 million — Spain’s largest lottery jackpot to date! After realizing that this is real life, Javi decided to move out and up. He chose a home in the La Finca neighborhood in Pozuelo de Alarcón, an area with the largest income per capita in the country. Not only is his home luxurious, but his neighbors are one of a kind too! One of La Finca’s most famous residents is Cristiano Ronaldo, Real Madrid footballer extraordinaire. His salary? Roughly €21 million a year plus endorsements. Javi and Cristiano would throw quite the neighborhood block party! Want to be like Javi? Play EuroMillions online! Javi isn’t the first and certainly won’t be the last non-European national to win big playing EuroMillions. And the best part is that you don’t even need to be in Europe to play. All you have to do to win huge like Javi is to play EuroMillions online. Pick your favorite numbers, purchase a ticket, and local offices in Spain will purchase official lottery tickets on your behalf. Let the luck come to you!